The pattern of drinking and the volume of alcohol consumed is damaging communities Khayelitsha, where binge drinking is rife and the alcohol trade is largely unregulated. 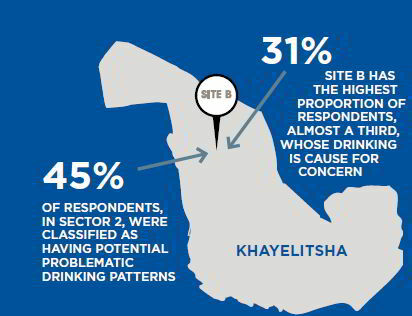 On the recommendation of the Commission of Inquiry into Policing in Khayelitsha, the Department of Community Safety (Western Cape) commissioned research to inform a strategy to alleviate the risks and harms from drinking. 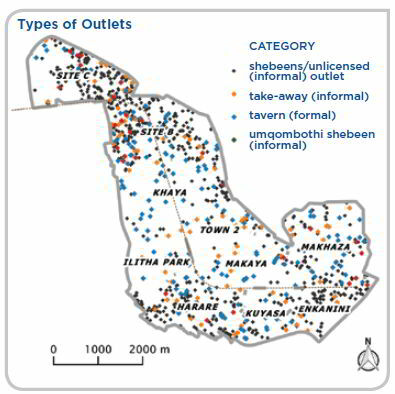 This research explores community attitudes to liquor outlets, excessive drinking and the community’s receptiveness to policy formulation in Khayelitsha. By creating better understanding of the situation we are able to respond on the basis of evidence rather than sentiment. Research also ensures that the voice of the community is heard, not just the loudest voices. This sentiment needs to results in supportive actions. 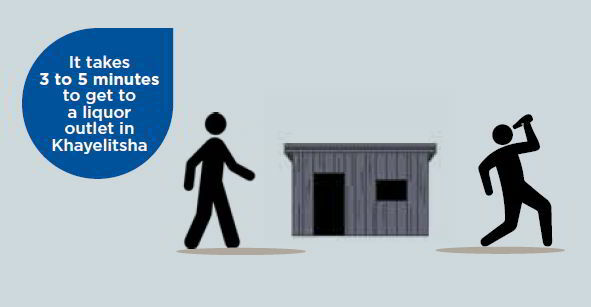 VPUU works with communities across the Western Cape to self-regulate the informal liquor trade with the involvement of Neighbourhood Watch Teams and the shebeen owners themselves. Shebeens are an integral part of our culture but the best efforts of the police and regulatory agencies have yet to have the desired effects. With a bit of support communities can work together to reduce the damaging effect of unscrupulous traders and develop appropriate management systems in partnership with these authorities. Maps show that while widespread, there are some areas where the incidence of alcohol outlets is much higher than others. This availability is closely linked to formality and population density.